Chile, Peru, Argentina, Germany, France, Italy, Spain, Romania, Puerto Rico, Israel, Holland, Vietnam, China, Thailand, and Greece. These are the countries we have explored just this year. In every locale we immerse ourselves in the local architecture, fashion trends, museums, antique shops, and market places, where we inevitably discover local gems and unique looks. 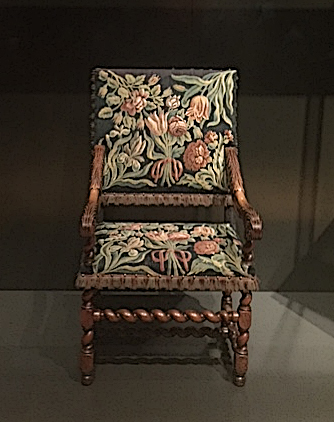 When perusing museum exhibits in these far-off locations, we often find ourselves astounded by how similar our antique offerings are to the pieces on display. Come along with us, from the comfort of your desk chair, and see for yourself! 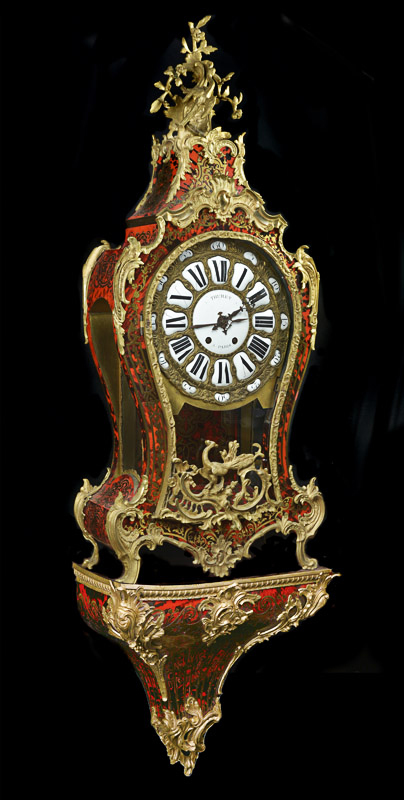 Here’s our “Thuret a Paris” French antique clock, decorated in the ornate Boulle style with tortoiseshell and bronze dore. 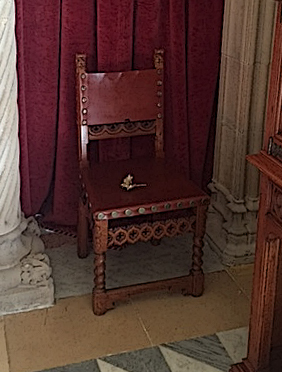 much like this chair we came across in the Casa Amatller mansion in Barcelona, Spain. 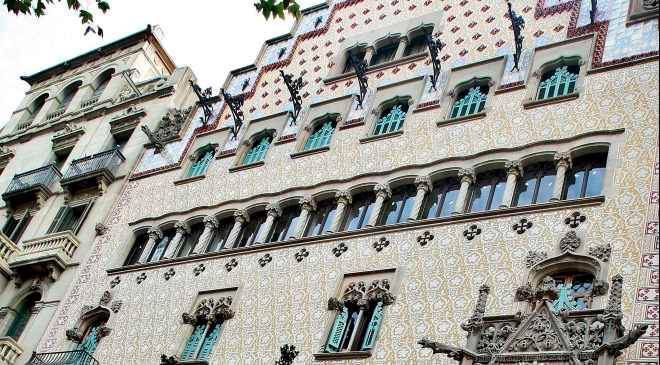 By the way, the exterior of the Casa Amatller is just as gorgeous as the treasures found inside! 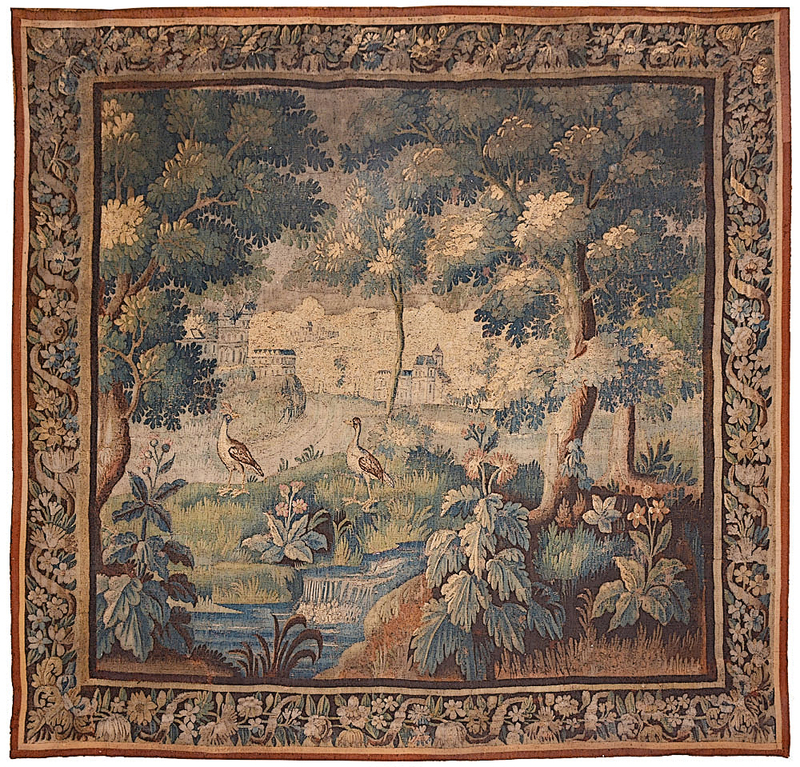 brought to mind our 18th Century tapestry of a French Chateau, framed by beautifully detailed flora and fauna. 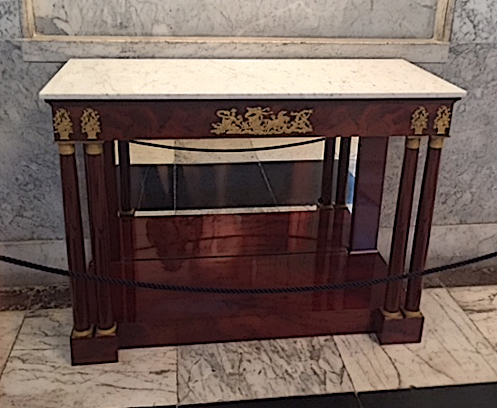 bears a notable resemblance to our marble-topped Biedermeyer console. These museum pieces, crafted by the most highly skilled artisans of their time, are enjoyed by thousands of museum visitors every year. 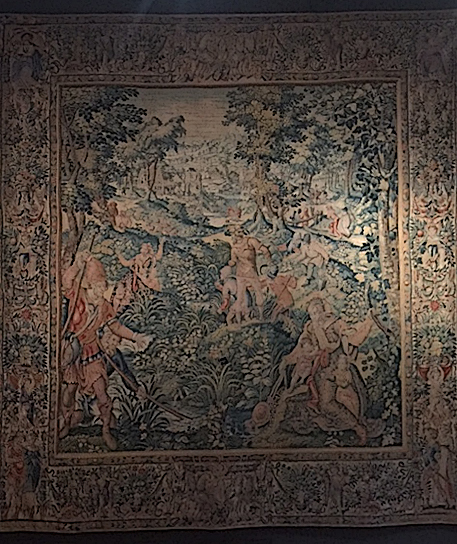 We travel to museums all over the world for the same reason — to delight in work that was done hundreds of years ago by true masters of their crafts. We marvel at the detail and beauty of each piece and we use the physical and emotional aspects of our museum visits to inspire our everyday experience as well as the design of our collections. 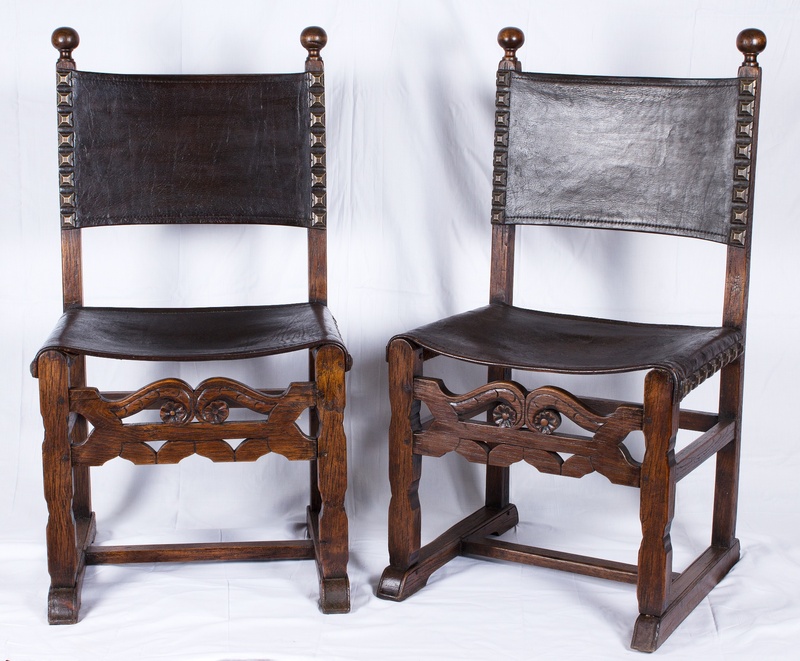 Our antiques are available for your viewing on our Flickr page. 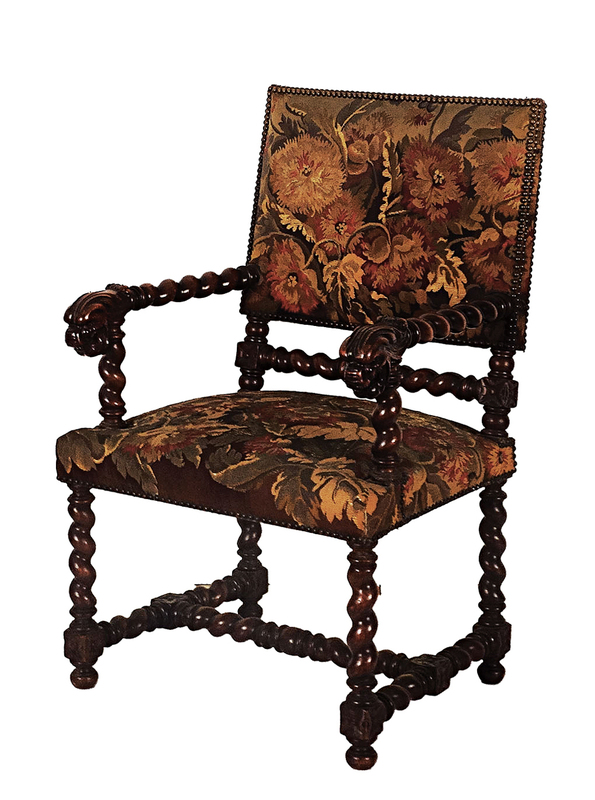 Scrolling through the pages is like touring a fine European museum; you will come across paintings, furniture, objets d’art, mirrors, clocks, chandeliers, and more. There is one difference however — you can bring one of our museum-quality treasures home with you! 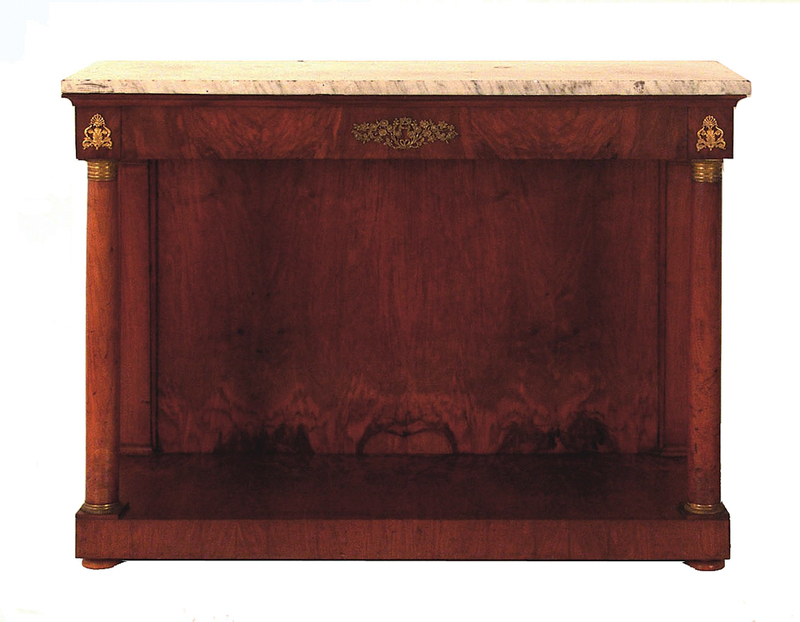 We would love to help you find just the right antique to bring warmth, unique character, and exquisite craftsmanship into your home, where it will be appreciated by your own visitors and loved ones. If one of our offerings piques your interest, please email us at info@schweitzerlinen.com, or call us at 1-800-554-6367.